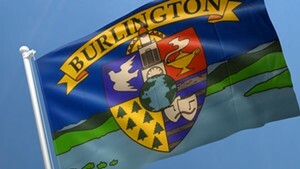 Vermont's Capital City Gets a New Flag, Because Why Not? This evening, Montpelier City Councilor Anne Watson and City Clerk John Odum unveiled the state capital's new flag during the annual July 3rd celebrations. 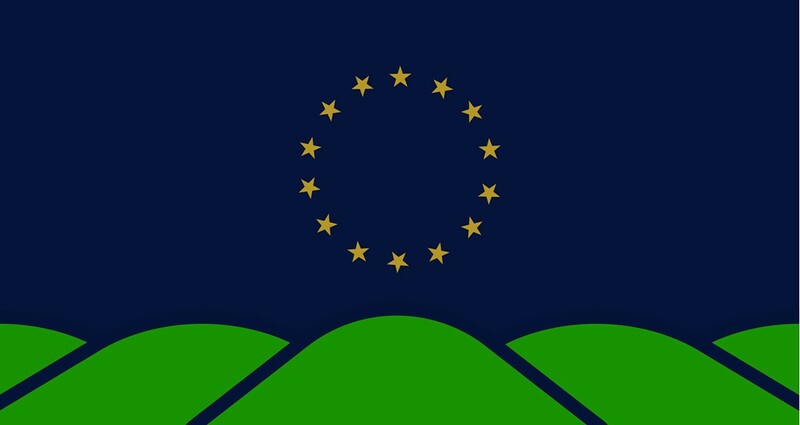 The minimalist winning design, by East Montpelier native Chet Larrow, features rolling green hills topped by a navy-blue sky. Centered in the blue field is a circle of 14 golden stars. Larrow is an industrial designer for Key Technologies in Baltimore, Md. 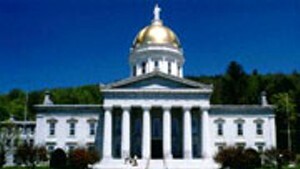 In a press release issued earlier today, Larrow is quoted as saying his entry "emphasizes Montpelier's representation of the 14 counties as well as [Vermont] being the 14th state to join the union. The gold stars are displayed in a circle to subtly represent the iconic round dome that both visitors and locals come to associate the city with." Larrow's design was one of three finalists, chosen from about 60 submissions, said Odum. The new flag is a replacement for a hasty design implemented in 2001 to satisfy a request for a city flag to be used in California's Rose Parade. Up until that point, Montpelier didn't have one. The banner will be formally adopted on Wednesday, July 12, at the next city council meeting, then will be raised in front of city hall to proudly wave.